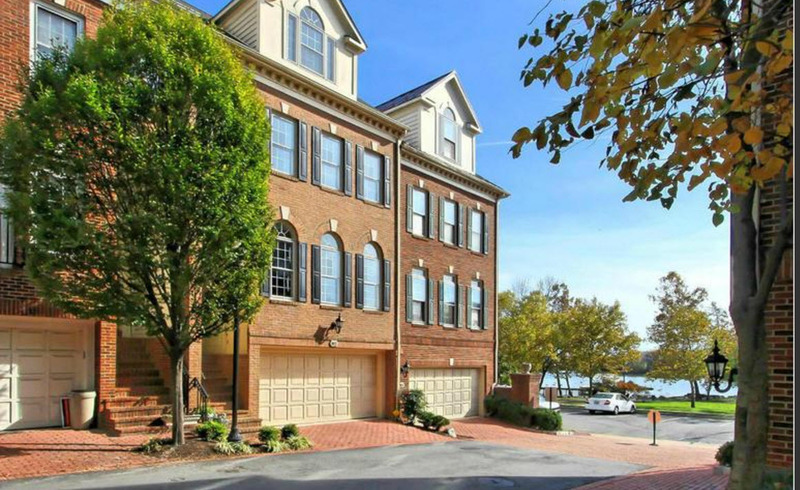 Rivergate is a community in Alexandria, Virginia, with 58 luxury townhomes. Originally sold for $375,000, these homes have continued to rise and will continue to do so as the waterfront renovations in Old Town Alexandria get underway. This community is also directly across from the new MGM Grand Casino at the National Harbor, opening in 2017. Prices range from $800,000 to $1.6 million for the waterfront townhomes, and each one features private entrance to the community and a one or two care garage. Association dues range from $130 to $150 per month. Rivergate in Old Town is in an ideal location. Nestled between Oronoco Bay Park and Rivergate City Park, Rivergate is in one of the most convenient locations just three blocks away from Harris Teeter and Trader Joes, and one block from a sushi restaurant, coffee shops and fitness facilities. Residents can also walk to top chef restaurants, high end retail shopping and the popular King Street. Rivergate in Old Town is in an ideal location. Low association dues of $150 or less per month offer simple, common ground maintenance and access to all the public amenities the city offers within one to three blocks from doorsteps at the river gate. Walk to the historic Old Town dock, where you can board a ferry across the Potomac River to the National Harbor in Maryland. Directly beside the community is the Mount Vernon Trail, an 18 mile walk, running and biking trail that runs from the George Washington Estate at Mount Vernon to Theodore Roosevelt Island near Rosslyn, Virginia. The Rivergate community sits at about mile nine of the trail on the water’s edge.